HOW DO I QUALIFY FOR A BANKRUPTCY? There really isn’t a list of qualifications for someone wanting to file for bankruptcy. I think what most people are wondering when they ask this question is, Can I file a St. Louis Chapter 7 bankruptcy? And the answer to that question is a bit involved. To begin with, the US Congress decided in 2005 (after much lobbying work on behalf the credit industry, and those sympathetic to their plight) that certain restrictions be applied to those wishing to file a Missouri Chapter 7. In their infinite wisdom, the US Congress (aided heavily by lawyers working for MBNA and JPMorgan Chase, who constructed the language of the bill) decided that a ‘means test’ should be used to determine eligibility. The means test is a list of median income levels for various sized households. For instance, a household of two is said to have a median (or average) income of $51,120 (as of August 2011). If you are a household of two, and the household income is above this level, then the court assumes that you make too much money (whatever that means) to qualify for a Chapter 7. But even if you do fall above the median income level, that doesn’t necessarily mean that you can’t file a Chapter 7. An experienced bankruptcy attorney can use certain deductions and exemptions to pull you below that level, and get you into a Chapter 7. In the event that you cannot get into a 7, there is the possibility of filing a St. Louis Chapter 13. This chapter of bankruptcy allows you pay back certain debts over a period of time, using a much lower interest rate (and you very often still have the opportunity to get your unsecured debts like credit cards and medical bills discharged as well in a Missouri Chapter 13). This is why it is so very important to seek out knowledgeable, experienced attorneys when you are dealing with your finances and livelihood. 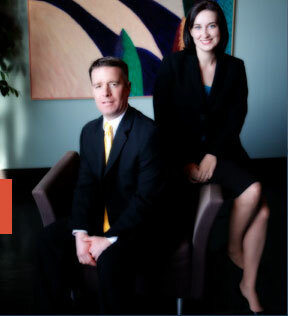 The St. Louis bankruptcy lawyers at Brinkman & Alter, LLC have been practicing in the specialized area of bankruptcy law for over ten years. Our staff is prepared to get you the fresh start / clean slate that you deserve, and all our phone and office consultations are free of charge.